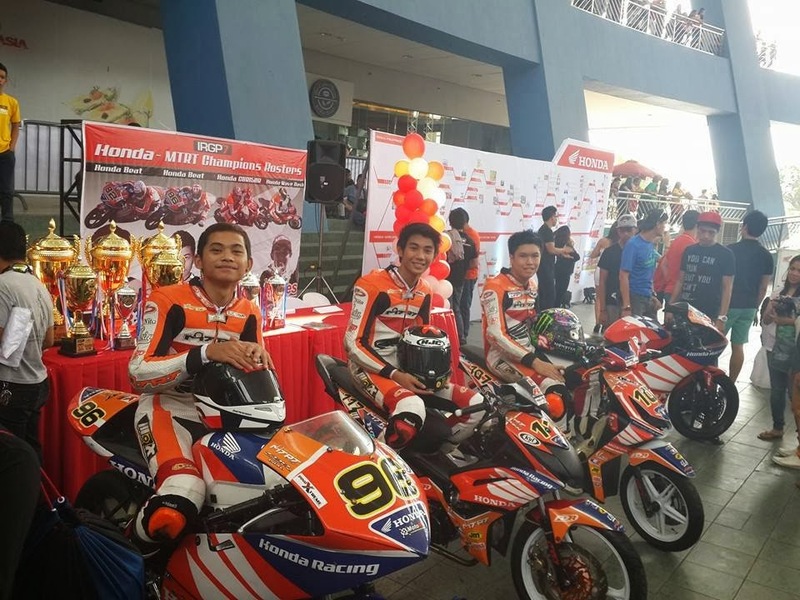 The future is here with the launch of Honda Philippines, Inc.'s (HPI) Zoomer X motorbikes at the SM Mall of Asia Music Hall in Pasay City. A product concept that combines "future, trendy, economic, and steady model," the addition of the Zoomer X in Honda's innovative line of outstanding and performance-packed motorcycles further strengthens its motorbike line-up and will serve it in good stead as its expands its share in hte scooter category. The Honda Zoomer X is definitely for today's sensational breed of Pinoy riders: build for styling and performance to bring out that extreme riding experience, that unique thrill to take your lifestyle for a spin. 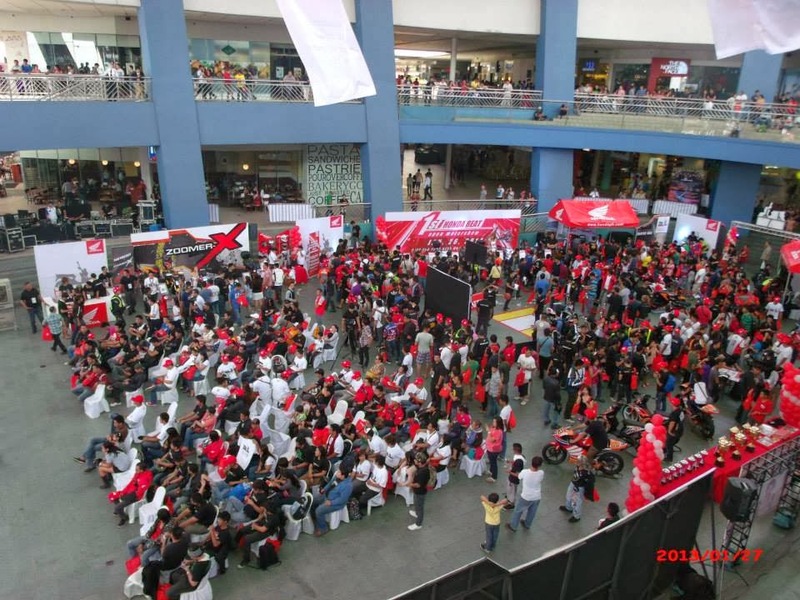 The Honda Zoomer X definitely made heads turn during its official launch last Sunday(Jan. 26, 2014), the highlight among all the fun and festive activities during Honda's "Thanks Day", a grand celebration of Honda's significant milestones in its existence. 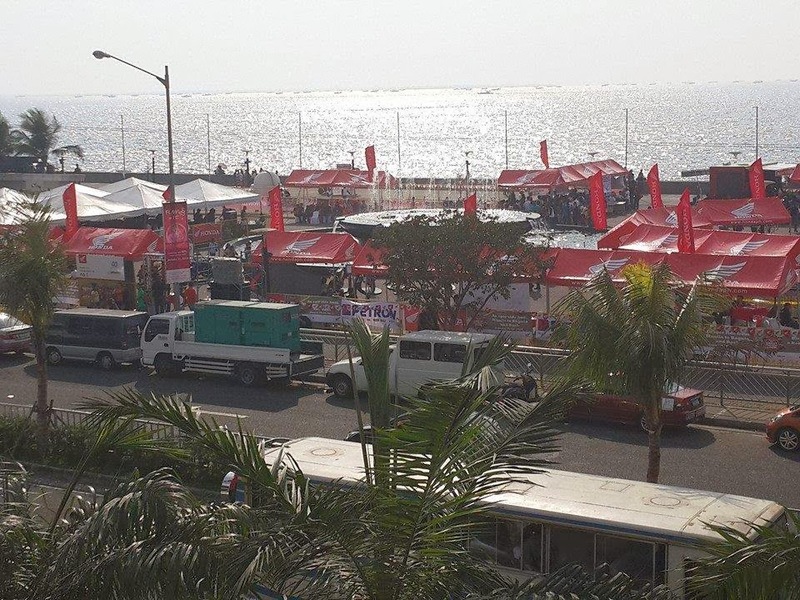 The "Thanks Day" event also featured the arrival of more than 100 bikers who participated in the "Great Northern Tour", an epic ride from Manila to Baguio and back that will test the fuel efficiency, toughness and performance of Honda's various motorcycle units like the Honda CB110's, Honda XRMs, the BeAt and the Wave Dash. 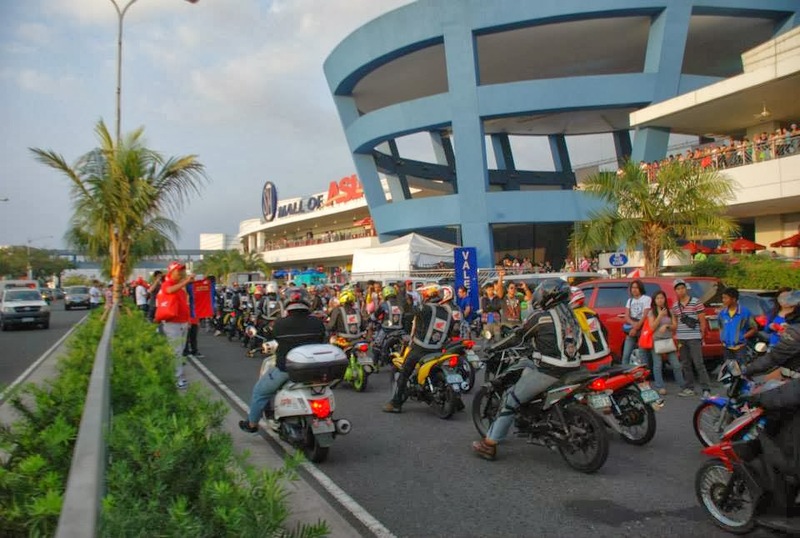 Upon arrival at the SM Mall of Asia, the riders will be welcomed by a throng of more than 1,000 riders, each waiting to see the faces of the riders after their triumphant journey. It was a lot of fun, entertaining and an exciting "Thanks Day", they featured a "Timeline" booth, the first "Honda BeAt Open Motor show", 3-Point Shoot Out", and hte "Bike Simulator" areas. There were also activities held at Honda Photo Wall, Honda Mobile Casa, Test Ride Zone, E-Bike Learning, plus Seminar Tents and Club Cluster Tents for the various Honda rider clubs. But among the other area, the "Guess the BeAt Fuel consumption" are was the most exciting. booth visitors had been asked to guess the exact fuel consumption for the Honda BeAt motorcycle, where the winning entry was able to bring home a brand new Honda Zoomer X. "We're happy to launch the Honda Zoomer X during 'Thanks Day' because of this day's significance to Honda, and we would like to thank our motorcycle-riding public for choosing Honda as an important part of their daily lives. 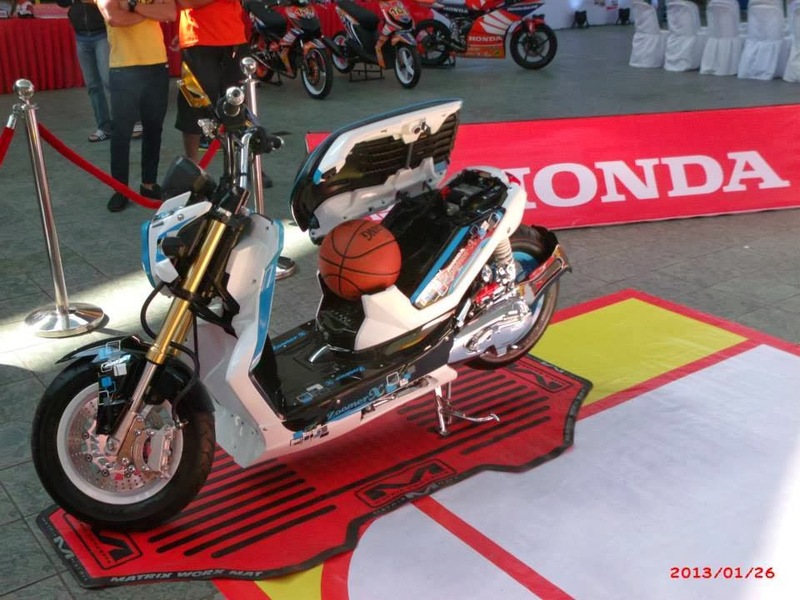 The Zoomer X will definitely be a game-changer in the scooter category and we're glad that we are at the forefront in this motorcycle revolution, as we have always been for the past 40 years," explains Lemuel Buenaflor, HPI Advertising Supervisor. Gatherings and festivities tend to slow down after the get-togethers of Christmas and the countdown parties of the New Year. It’s time to get that well deserved break after the stress of planning, organizing, and throwing an unforgettable party. This January, Power Plant Mall knows exactly how to recharge, de-stress, and continue celebrating the year 2014. TRAVELIFE MAGAZINE, the Philippines’ leading travel and lifestyle publication, is partnering with Power Plant Mall, to organize the very first travel fair for 2014. 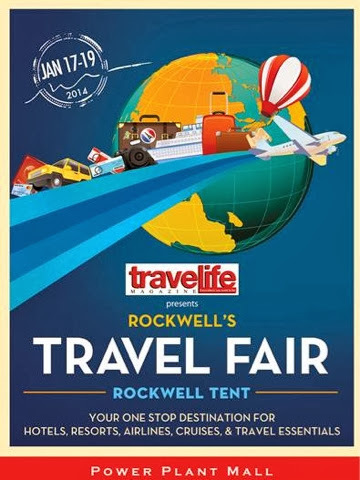 TRAVELIFE Magazine presents ROCKWELL'S TRAVEL FAIR will be held at the Rockwell Tent at the Power Plant Mall from January 17 to 19, 2014. Geared todeliver a unique travel & lifestyle shopping experience, this travel expo will offer a multitude of holiday and travel options at deeply discounted prices for discerning consumers. We anticipate thousands of visitors to visit Rockwell’s Travel Fair. Major airlines, hotels, resorts, travel agencies, and lifestyle companies will all be participating in offering unique travel and shopping deals. Foreign embassies will also be showcasing their diverse culture via entertaining performances and answering questions regarding visa matters. Entrance is Php 100 and tickets will be sold at the Rockwell Power Plant Mall concierge from December 15. For further information, please call the Travelife Magazine office at 813-8400 or e-mail at travelife@travelife.biz. Zeitgeist is Google’s year-ender report and lists the hottest travel destinations by country. Sky Ranch in Tagaytay and Tubbataha Reef in Puerto Princesa were ranked the first and the third respectively. rounded up the ten spots that Filipinos were most interested in learning more about. our in-house artists under the direction of the entertainment director hailing from Majorca, Spain Paco Beltran. aqua colored waters and the seamlessly constructed boardwalk made from ironwood look pristine and serene. excellence and elegance they won’t forget. Affirming its place as one of the country's largest and most profitable private universal banks, Rizal Commercial Banking Corporation (RCBC), for the second year running, was named as the Philippines' Best Banking Group by World Finance during its annual Banking Awards. The Best Banking Group Award is given by World Finance, a leading international financial magazine, to banking institutions that have consistently improved their financial performance and developed innovative products and services to address the needs of their customers while implementing sound corporate governance. In line with its vision to be the leading innovator of integrated financial services in the country, RCBC has since strengthened its electronic banking channels, particularly for its Retail Banking and Small to Medium Enterprise (SME) sectors, creating new growth opportunities for its consumer market and catering to the unbanked segment of the Philippine population. Under Personal Internet Banking is RCBC AccessOne, an Internet Banking facility that enables customers access their RCBC Accounts and do banking transactions online 24/7. For Corporate account, RCBC offers Enterprise Banking that offers an Internet Banking Facility for special needs and requirements of corporate and business clients. 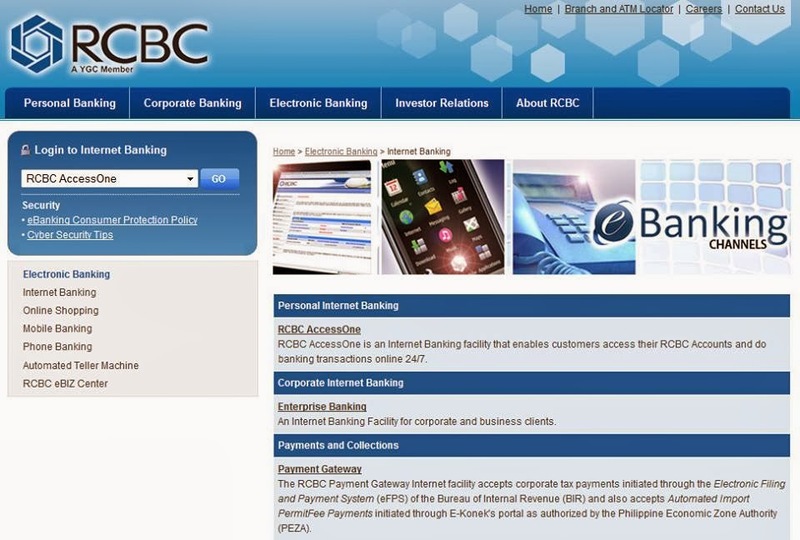 The bank also takes pride of the RCBC Payment Gateway Internet facility that accepts corporate tax payments initiated through the Electronic Filing and Payment System (eFPS) of the Bureau of Internal Revenue (BIR) and also accepts Automated Import PermitFee Payments initiated through E-Konek's portal as authorized by the Philippine Economic Zone Authority (PEZA). To thank all its loyal customers and partners, RCBC has launched an online promotion where participants can win special prizes.